Smoll & Banning, CPA's, LLC is an independent accounting firm located in Dodge City, Kansas specializing in agriculture related industries and businesses, medical practices, and tax, estate and financial planning. 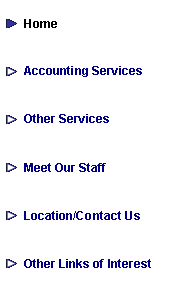 We also offer compilation services, accounting software support and retirement plan administration. Smoll & Banning, CPA's, LLC adheres strictly to the quality control measures and high professional standards of the American Institute of Certified Public Accountants and of the Kansas Board of Accountancy. We are also a member of the Private Companies Practice Section (PCPS) of the AICPA. Because of this membership, we have subjected our practice to review by our peers. We have received unqualified opinions since the program began.